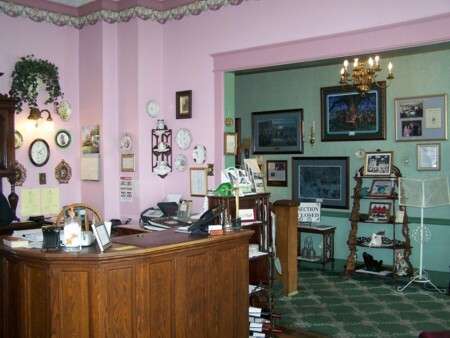 "Experience The Romance of Victorian Style"
Southern hospitality! Just 2 Miles off I-81, Exit #298! A Quaint Pub, Casual Fine Dining Restaurant, 29 Antique Filled Rooms (some with Jacuzzi's), Conference Facilities, Special Packages Available. Please browse awhile and perhaps come visit for dinner or for the night! Easter Sunday Feast falls on Sunday the 21st of April . The Hotel and Restaurant is accepting reservations for its famous Buffet, offering classic Easter dishes. Large groups are welcomed. (800) 348-8327 | (540) 465-9191. 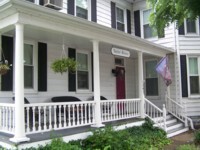 A VA Catering Company located in the heart of the Shenandoah Valley, VA with over 30 years experience in the business. One of the best Banquet and Shenandoah Valley Wedding venues. A Quality full line circle of catering; Wedding and Coordination Services. Dining room. Lunch specials, sandwiches, fresh salads, homemade soups and deli trays. The Hotel also offers customized special parties, reunions, corporate events, and anniversaries to suit your needs and occasion Will deliver to the DC, Virginia and Maryland metro areas..
"Your Host for the Shenandoah Valley"
Where informality tempers the baroque theme of Queen Victoria's Gilded Age with a friendly hands-on approach. Always gracious, the hotel staff awaits you with warm smiles and greetings, whether it's your first visit or you're a long-time patron. 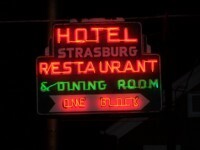 The Hotel Strasburg was originally built as a private hospital in 1902 run by Dr. M.R. Bruin. Later in the 1900's the Hotel became a well-known place of lodging and dining in the Shenandoah Valley. Restored to Victorian Age elegance in 1978, its guest register in the lobby reflects a truly cosmopolitan parade of visitors from across the nation and around the world. In keeping with local hospitality, the Hotel keeps the doors of the unoccupied hotel rooms open for patrons who are curious to view the furnishings and appointments. History and Civil War buffs will enjoy Stonewall Jackson Museum, Belle Grove Plantation, Local Battlefields and the Strasburg Museum - all close by. For outdoor adventure, trek into the wilds of the Shenandoah National Forest, the Massanutten Mountains, and the breathtaking Skyline Drive. Enjoy the many hiking, canoeing, or horseback riding opportunities. The Strasburg Hotel is Smoke-Free! on the Porch, or in The Depot Lounge. The Manor Template. Designed by Free CSS Templates.